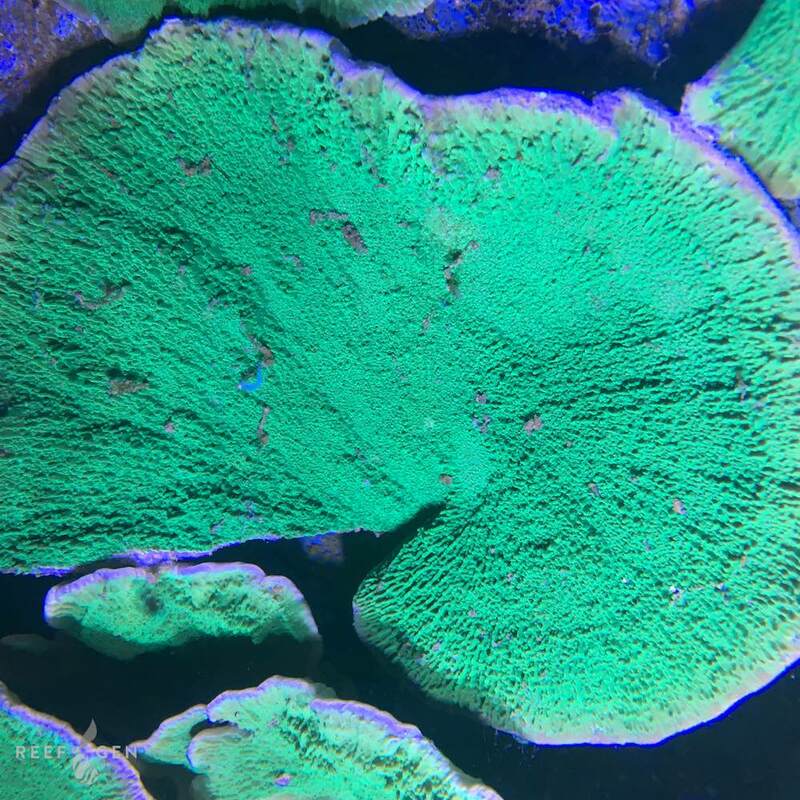 Joe’s tank has several of these beautiful plating corals throughout his tank. With good light and water parameters, it has a lovely purple rim! This variety makes colonies with several dynamic and lovely lobes and levels.